← Why consciousness will make the difference, if your business is to be successful in the near future! 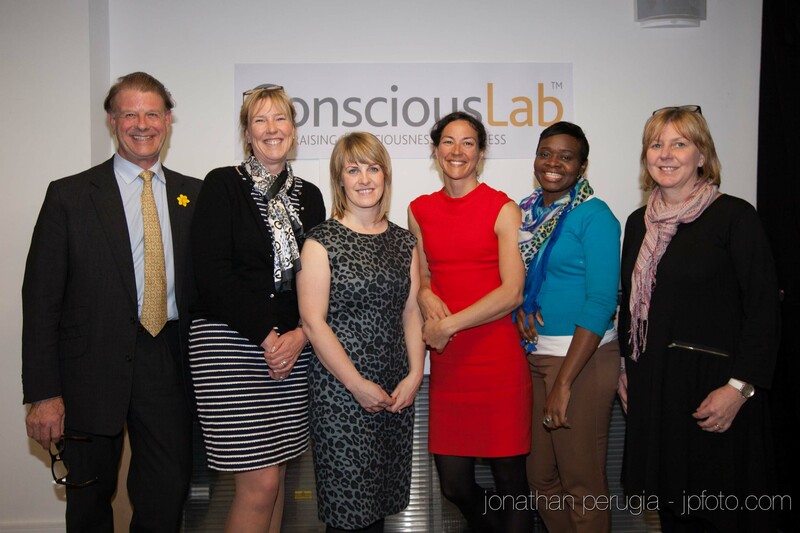 On 20 March 2014 I participated in a fascinating and insightful Consciouslab interactive panel discussion, Women’s Approach to Consciousness and Business. As a trainee coach myself, I found it really useful to hear different viewpoints and see how people are applying consciousness and, in some cases, a range of coaching principles and techniques in industry and the workplace – though the panel very much focused on their own experiences. The individual personal journeys were so varied, yet each in their own way inspiring, energising and offering up possibilities. I was conscious that during the evening spontaneously without trying to in my mind I was saying: “it’s alright to take your own path, there is no set way you have to do this, just take it a step at a time and see where it takes you”. I was aware that this thought seems to have somehow opened up wider options for me, as per the GR-O-W Goal-Reality-Options-Will model (Whitmore, 2002). I got a real sense of warmth, humanity and openness from Judith Underhill’s talk, fascinating to hear about her point of realisation that there was a need to change, the ‘lightbulb moment’, that decided her to alter course onto her current path. She talked about connectedness with oneself and highlighted a set of attributes on her journey: Acceptance – Letting go – Having a ‘beginner’s mind – Trust in self – Patience – Non-judging – Non-striving. ‘Letting Go’ is one of the things that struck me most and made me think of my recent reading about the Paradoxical Theory of Change, exploring aspects of Frederick Perls’ work and the Gestalt approach (Beisser, 1970). The theory proposes: “that change occurs when one becomes what he is, not when he tries to become what he is not. Change does not take place through a coercive attempt by the individual or by another person to change him, but it does take place if one takes the time and effort to be what he is — to be fully invested in his current positions”. Judith brought out the need to be able to let go of ingrained values and beliefs, and to let go of certainty and security. Values came up quite a few times, perhaps unsurprisingly. For example, Jo-Ann Hamilton talked about some of her own core values that drive her: innovation, a healthy life, compassion, curiosity, integrity, honesty, nature, passion, humour, authenticity, spirituality, agility. By connecting her mind and her heart, this gives her a roadmap for a direction if travel. Louise Cox Chester prompted a reminder for me of the power of mindfulness and the stillness, centring effect it can bring in a hectic world. I had been introduced to mindfulness practice a few years ago and found it extremely helpful, but have let it slip completely recently (except the odd occasion walking the dog in the orchard). This has prompted me to try and reintroduce mindfulness, even in small doses, back into my daily routine. I have been far more aware of mood and energy in certain situations or environments since some recent exercises in raising awareness. It is not something I have tried to do; it just happens since I have been made more aware to pick up on it. It was fascinating to observe how the energy levels in the room shifted from speaker to speaker and as the evening progressed – a buzz and energy after the presentation from Jo-Ann Hamilton, a vivacious Caribbean speaker, then a more contemplative mood at the end after a talk on mindfulness by Louise Cox Chester – so much so that everyone seemed fully inward focused, really ‘in the moment’, and almost not in a frame of mind to ask questions. All round an engrossing and inspirational experience. Beisser, A., 1970. The paradoxical theory of change. Gestalt therapy now, [online]http://www.gestalt.org/arnie.htm Accessed 17 December 2013. Whitmore, J., 2002. Coaching for performance: growing people, performance and purpose. London: Nicholas Brealey Publishing. Veronique, thanks for your kind words. Its very satisfying to see that the event we put together has been described as inspiring.